The pregnancy hormone hCG is sometimes prescribed to women for fertility reasons. Women might receive hCG shots if they have a short luteal phase and need it to lengthen the time between their ovulation and menstruation, in order to allow enough time to establish a pregnancy. So, hCG shots are nothing new. But now a growing number of women is using this essential pregnancy hormone to.... lose weight! Some of the women who have been using hCG shots to lose weight report that it worked really well, and they are losing weight rapidly. At $1000 and more for the fees at weight loss clinics and the medication itself, this is no cheap way of shedding pounds! Additionally, women are advised to use the injections in combination with eating very, very few calories as little as 500 calories daily. Sounds like a recipe for disaster to the bloggers at SteadyHealth. What do you think? The Food and Drug Administration (FDA) seems to agree. They have warned that products containing "homeopathic" forms of hCG sold online and at health foods stores are not allowed to claim that people will lose weight after using them, or they could be charged with fraud. Though hCG medications that are FDA approved for infertility treatments can legally be used off label for weight loss, the FDA reminded would-be users of these products that there is no evidence hCG causes weight loss. This is a warning that has appeared in hCG package inserts since the 70s. Not that that stops the growing number of women who are hoping to reach their perfect weight! To the contrary, some think that medications containing hCG, like Pregnyl for instance, must be "good stuff" because the medications in question are prescription only. How about you? 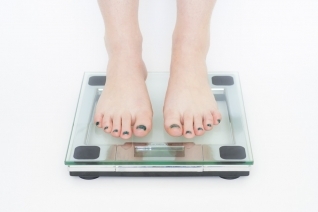 Would you use hCG to lose weight? Or are you against, and have some advice for women who are considering it? im an 13 year old girl and i need to lose weight!!!! I need to lose weight for an upcoming dance! !